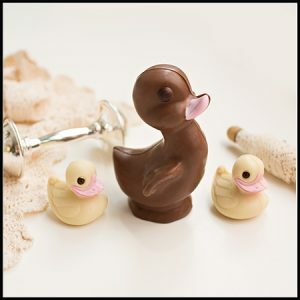 These small little chocolate duckies make wonderful favors for any baby shower. 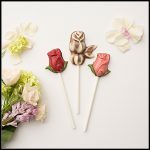 Don’t know what you’re having? 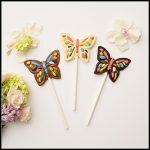 Opt for a yellow bow! 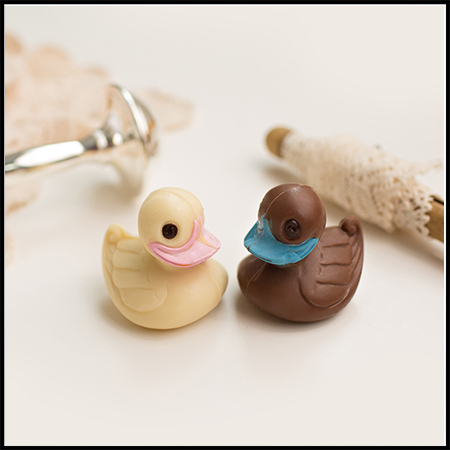 Available in milk, dark & white chocolate, the pink, blue & yellow beaks are optional and available at no additional charge. Shown here in white chocolate with a pink beak and milk chocolate with a blue beak , these bite size chocolates will make your shower extra special. 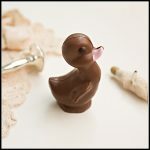 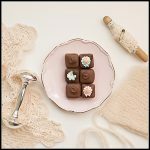 Each Small Duckie is $2.98 each and comes individually boxed in a beautiful clear box, ribboned to your specifications.